The delicate desert tour marrakech fes will create for you an unforgettable trip enjoying the best of Sahara desert climate, and discovering the life and the culture. Travel through the magnificent High Atlas Mountains and explore the berber villages, the enchanting Ait Ben Haddou Kasbah will just fascinate you by its sandy castle. Moreover, explore the wonderful wonders as you make your way to the Sahara desert, stay in a traditional accommodation. Furthermore, Make your way to the Sahara on camel rides and relax in the luxury desert camp. 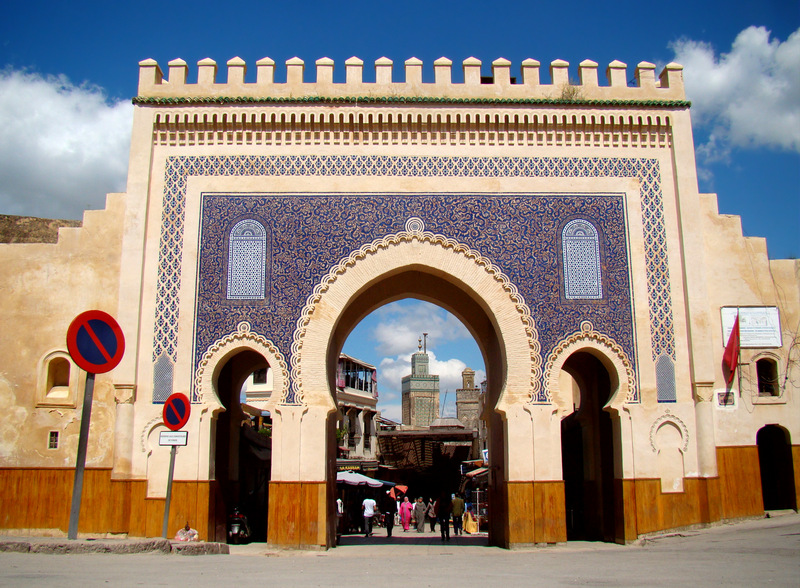 Abounding with myths and legends, you will end your Marrakech desert tour in fes. Picking you up from your Riad or hotel around 8:30 in ” Marrakech ”. First, you will cross the High Atlas Mountains known as Tichka pass. Then we will drive to visit the Kasbah of telouet, which belongs to the Glaoui family. Presently, the ruins still stand after the last Basha fled the country, following the departure of the French. From there, we will continue along the stunning road of the high mountains. Lunch will be at Ait Ben Haddou “ optional”. Next, we will stop at the most famous Kasbah in Morocco, recognized by the UNESCO World Heritage site. Passing through Ouarzazate and Skoura the Oasis village, where you will see numerous ancient Moroccan kasbahs, and some ruins that stand among the palm trees. In the same way, we will continue till we reach Kela’a M’gouna, the Valley of Roses. Finally, we will drive directly to the sahara desert for an overnight, where you will enjoy the Sahara desert climate (DBB). Next morning, After breakfast in your hotel we’ll start an adventure by 4×4 tour around the dunes, you will enjoy the Sahara desert climate . We’ll stop at Khamlia village, to listen to their traditional authentic music known as “ Gnawa”. As well as, enjoying tea with the nomadic families. Next, we’ll head to Rissani and enjoy the Moroccan Berber pizza called “Medfouna“, speciality of this town. At the end, You will return to Merzouga to saddle up the camels and have a trek in the dunes. If you like you, can climb the dunes after the sunset and enjoy the view of the stars above. Be sure you will spend the night in the nomadic tents or under the light of the stars. This is the final day of your sahara desert tour. Your camel guide will wake you up early in the morning, to watch the dramatic sunrise. You’ll peacefully ride your camel back to the village of Merzouga. After your breakfast, we will drive to Fes the oldest city in morocco. On the way, we will pass by the biggest cedar forest in morocco there will stop to see the monkeys. Then, we will continue to Fes via Ifrane﹔ ”Ifrane” is known as the Switzerland of Morocco. Finally, we will drive to Fes overnight will be in a riad in the heart of the medina (BB). Finally, end of our desert tour marrakech fes.